An adult female deer tick crawling on piece of straw. On a night in early May, 7-year-old Tommy Bell of Newburyport took a shower and cuddled in for the night. Over the next 20 minutes, Heywood and the boy’s father, Robert Bell, removed the tick with tweezers — it was tightly attached, but not engorged — and then waited for the telltale signs of a problem, such as a rash or fatigue. Fortunately, Tommy showed neither. These days, Heywood said, she is cautious. Her son takes his shower before bed every night, as opposed to the morning, and she checks for ticks every time he comes in. It’s summer in New England, which means there’s plenty of concern about tiny, disease-carrying insects. If you spend enough time outside, you need to be concerned about mosquitoes and ticks and the diseases they carry, primarily West Nile virus and Eastern equine encephalitis (mosquitoes) and Lyme disease (ticks). Now there’s also the Zika virus, which can potentially cause miscarriages or birth defects in pregnant women. The type of mosquito that carries it doesn’t traditionally venture this far north, according to David Henley, superintendent of the East Middlesex and Suffolk County mosquito control projects, which monitor and manage mosquitoes in 28 cities and towns. Dr. Catherine M. Brown, deputy state epidemiologist, said in May that 10 Massachusetts residents became infected with Zika, but all while traveling to areas where the virus is prevalent, such as the Caribbean and Latin America. No local transmission of the illness has been reported. The spring mosquito population here has been lower than usual, Henley said. Wet weather brings more mosquitoes, but hot and dry conditions tend to produce more of the species that carries West Nile virus. Beyond Lyme disease, more tick-borne diseases are emerging in Massachusetts, includingbabesiosis and Human granulocytic anaplasmosis. Both have similar symptoms to Lyme: fever, fatigue, and chills. Less common in the region are two others carried by ticks, Borrelia miyamotoi and Powassan virus. According to the Mass. Department of Public Health, reported cases of babesiosis have gone from 51 in 2008 to 445 in 2015. In 2014 — the most recent year for which data is available — there were 3,646 confirmed cases of Lyme disease in the state, according to the Centers for Disease Control and Prevention. There also has been an increase of human granulocytic anaplasmosis, another tick-borne illness that can cause fever, headache, and muscle pain. Cases in Massachusetts increased from 41 in 2008 to 763 in 2015, according to state data. “I don’t think the approach is to only talk about one tick-borne disease anymore, we need to talk about all of them,” said Brown. Rockport resident Alan MacMillan, 69, is grateful for Dr. Fiona Breslin, who correctly diagnosed his case of babesiosis, a tick-borne disease that infects red blood cells, at Addison Gilbert Hospital in Gloucester. He’s recovering, and fortunately his health insurance is paying for the drug to treat babesiosis, which costs $976 for a seven-ounce bottle, broken down to $17.50 a teaspoon, taken twice a day. There have been anecdotal reports that ticks are plentiful this year. “I’m hearing more stories,” said Galvin Murphy of Malden-based Yankee Pest Control. “People talk about going for a walk in the woods with their pets and coming back covered with ticks,” he said. There seem to be more in Topsfield, too. “I’ve heard that [the population is high], but there’s no empirical date to verify it, ” said John Coulon, the town’s Board of Health agent. 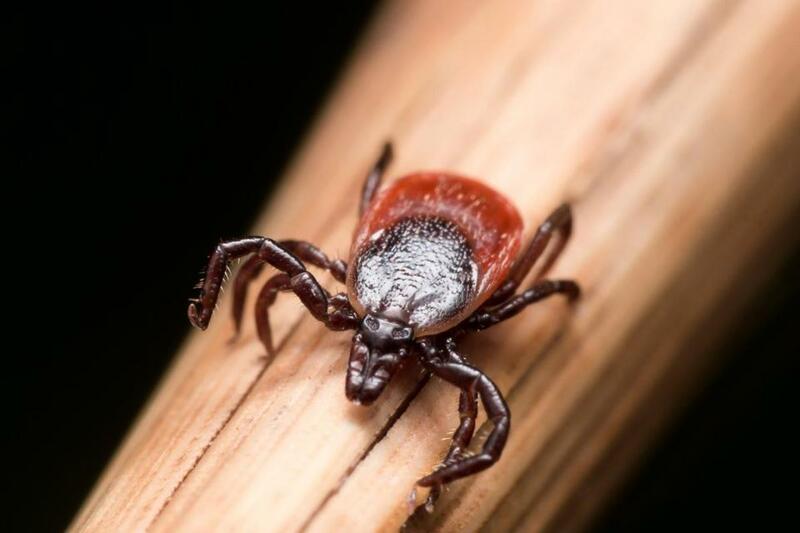 Coulon said that because some tick-borne infections are tricky to diagnose, doctors may not realize the need to do the necessary tests on patients and the illness will linger. He advised being aware of potential danger and taking precautions, particularly a thorough tick check once indoors. Other precautions include wearing light clothing (the better to spot ticks) and repellent.